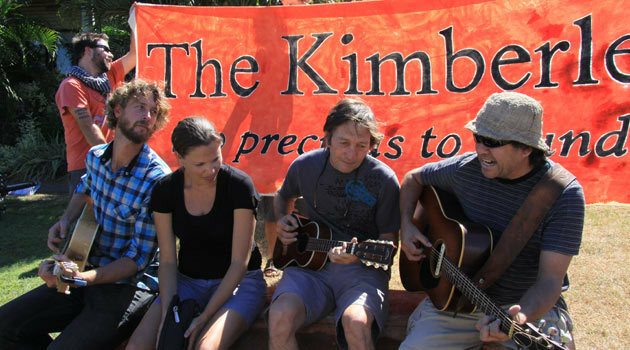 Hands Off Kimberley Coast Protest songs! 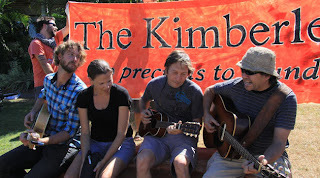 I was in Broome today when members of The Pigram Brothers performed a gig outside the local Woodside office with Wil Thomas, travelling musician Dave Mann and didgeridoo artist Paul Boon. the musicians wanted Woodside to consider other locations for its proposed $30 billion gas processing plant at James Price Point and to not develop the untouched and special Kimberley Coast. This Protest Concert also coincided with three others, one in Perth, one in Melbourne and the other Sydney, with artist Jimmy Barnes and John Butler leading the fray with there big names! this development would be a true loss to the world not just Western Australia, this coast line leaves me breathless and needs to be preserved. Sitting yet again on a plane, I am surrounded by people speaking in a very familiar fashion; yet with a slightly different stress on nouns and hint of raised tone at the end of words. 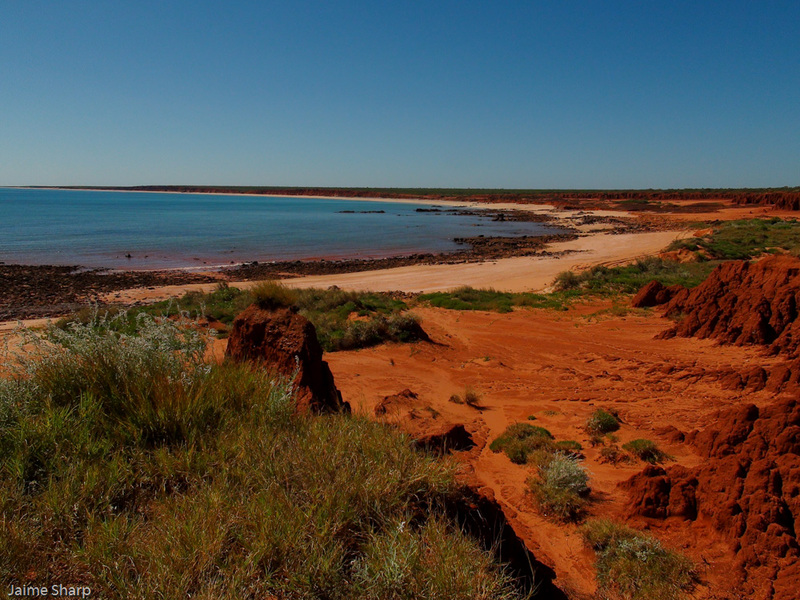 I look from the window and the of Western Australia lies below me; arid, brown and ongoing. 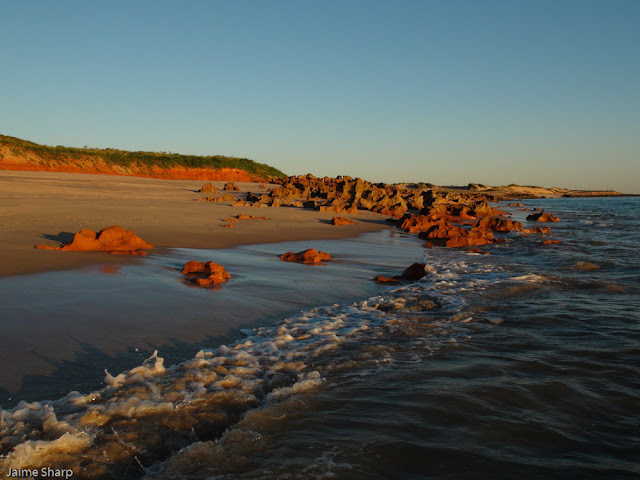 I am flying north from Perth to Broome, where I will spend 10 days with my Friend Kazz; who lives there. A seven hour flight the day before; with a four hour time difference, had me landing in Perth at 6pm after leaving Auckland New Zealand at 2.45pm. I was shocked to find how strong the Aussie dollar was when I changed $50 USD into $42 AUD. I wont mention what my NZ$ turned into. Hoping a cab I headed to my friend Kazz’s friends place in Carlyle. Cos was home to great me, gave me a beer, a bed and shower, though I was in desperate need for sleep and retired at 9pm. I was surprised how chilly it was in Perth until I looked on a map and saw that it was the same latitude as Auckland. I was expecting semi tropical, and was glad I had brought my jacket. I awoke this morning to a clear crisp morning, with the sun shining through the window. I lay for awhile and then realized, “ I am in Australia!”. I had never been to Australia in my adult life and never to this side, the cultural familiarities had me a blasé; however I now am excited. There is a pleather of Snakes, Birds, Lizards, Amphibians, Insects, geology and coast line I have yet to see and explore; right out the door! going for a quick walk before my cab ride to yet another plane flight to Broome, I was instantly enthralled by the birds everywhere. Even in the heart of suburban Australia, native species flourished, some very familiar; Pied Magpies, Crows and some not so. I walked to a nearby park and just watched rainbow lorikeets play in a eucalyptus tree, there loud excited squeals reminding me of the American tropics. Magpies tattled calls, reminded me of rural NZ, and the Crows croaking as they collected twigs, took my mind to the Pacific Northwest of Canada and USA. a number of interesting birds I watched and etched to memory in order to ID them later when I find a good book. I instantly find Australia exciting and alive, Even in the 'Burbs’, the idea of all the creepy crawlies here brings a smile to my face; I cant wait to see what adventures come in the next few days, and Broome is wild and remote. Only memorable things can come from a romp in the outback of Oz, surely!